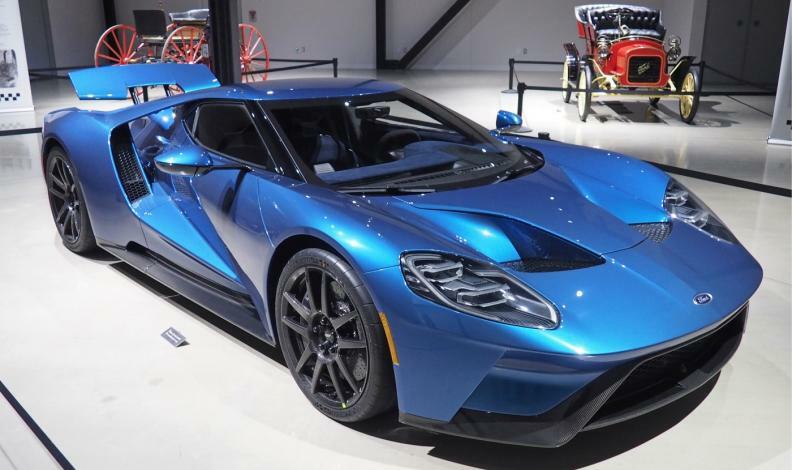 Ford Motor Co. issued a recall Wednesday for 194 of its hand-built, 2017-18 GT supercars over a hydraulic fluid leak. Fluid could leak from valves under the rear wing block of the $450,000 vehicles, which are built by Canadian supplier Multimatic Inc. If the fluid leaks into the exhaust, it could cause a fire. Ford said it's aware of one fire in Germany as a result of the defect, but no injuries have been reported. The affected vehicles were built between Dec. 20, 2016, and July 31, 2018. Ford has planned to build 250 GTs a year through the 2020 model year, although Multimatic hit just 55 per cent of that production target for the 2017 model year. Workers at Multimatic's plant in Markham, Ontario, typically build one car a day. They expect to hit the 250-vehicle goal for the 2018 model year. Ford plans to reopen order banks, for 2020 GTs, this year. Owners for the first two model years have been selected, and production of 2019 vehicles has been designated for applicants who were on the waitlist for the first two batches of supercars. A number of celebrities have received GTs, including Houston Astros pitcher Justin Verlander and professional wrestler John Cena, who ran into legal trouble when he tried to flip the vehicle but has since settled a lawsuit with the company.